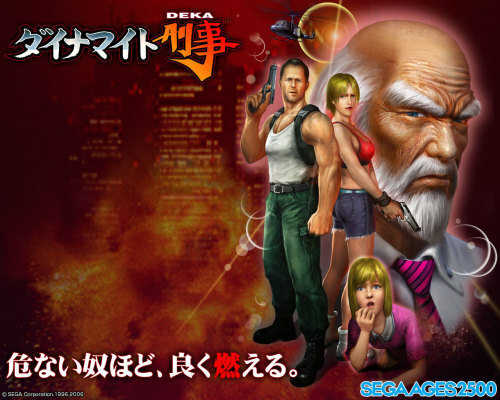 The SEGA AGES 2500 PlayStation 2 release of SEGA’s arcade classic ‘beat em up’ Dynamite Deka is now available on the PlayStation 3 for download on the Japanese PlayStation Store for 800 yen. 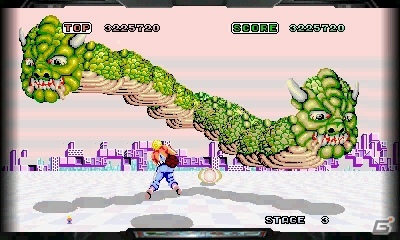 Titled Die Hard Arcade (after the popular 20th Century Fox film series) in many regions, this version of the game features updated graphics and various additional features, such as a mode where the characters are replaced by the cast of Golden Axe or Altered Beast and a digital remake of Periscope, one of SEGA’s earliest ever arcade experiences. Unlikely to be released outside of Asian regions, interested players are able to purchase and play it regardless of their PlayStation 3’s region with a Japanese PlayStation Network account and with yen added to their account through purchasable ‘Point cards’. Several import sites exist that email the point card’s code, meaning those previously unprepared should not have to worry about shipping costs or dates. It is also worth noting that although very little of the English language is used in the game, the menu layouts and designs are simplistic, meaning those who do not read or speak Japanese should have little trouble navigating the game. Release information for the next entry in SEGA’s ongoing Vintage Collection series was revealed today, this time featuring the funktastic duo of ToeJam & Earl. It has so far been confirmed that the collection will be released for Microsoft’s Xbox LIVE Arcade on Xbox 360 and Sony’s PlayStation Network on PlayStation 3, with a possible Steam release hinted at by series co-creator Greg Johnson. The collection will feature the SEGA Genesis/Mega Drive classic, ToeJam & and Earl, as well as its sequel, ToeJam & Earl in Panic on Funkotron. Though all current Vintage Collection releases have thus far have included three games, it has yet to be confirmed whether or not a third title will be included in latest collection, though it remains likely. Much like the other releases, SEGA Vintage Collection: ToeJam & Earl will be developed and altered by M2, and will feature online co-operative play, leaderboards, unique trials and challenges for each game, among other extras. In addition, the Genesis/Mega Drive version of ToeJam & Earl is available on Steam for Windows PC, while its sequel was recently made available on the service as well. 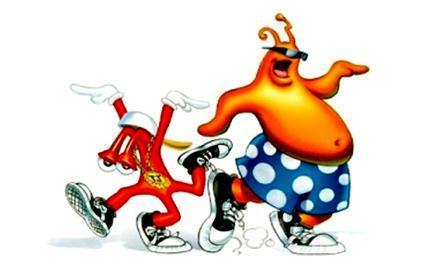 ToeJam & Earl have long been among the most popular and beloved characters in SEGA’s enormous catalog of classic games. They were so popular, in fact, that at one time they were heavily considered to become SEGA’s official mascots, but ended up narrowly losing to SEGA’s current and longest standing mascot, Sonic the Hedgehog. The duo were also considered to be included in Sumo Digital’s 2010 racing game Sonic & SEGA All-Stars Racing after a number of suggestions from the staff, but were ultimately left out due to licensing disputes with series co-creator Greg Johnson. 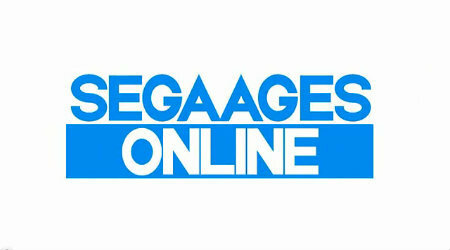 These disputes also led to the cancellation of a planned release of the original game to Xbox Live Arcade after winning a poll arranged by SEGA in 2009. Given its recent revitalization and SEGA’s continued interest in the series, one must wonder if this announcement hints at the possible inclusion of ToeJam and Earl in the upcoming Sonic & All-Stars Racing Transformed. Update: Greg Johnson has confirmed the re-release of both ToeJam & Earl and Panic on Funkotron with GameTrailers and Silicon Era. No release date has yet been announced, while more details on the release are sure to follow in the coming days. 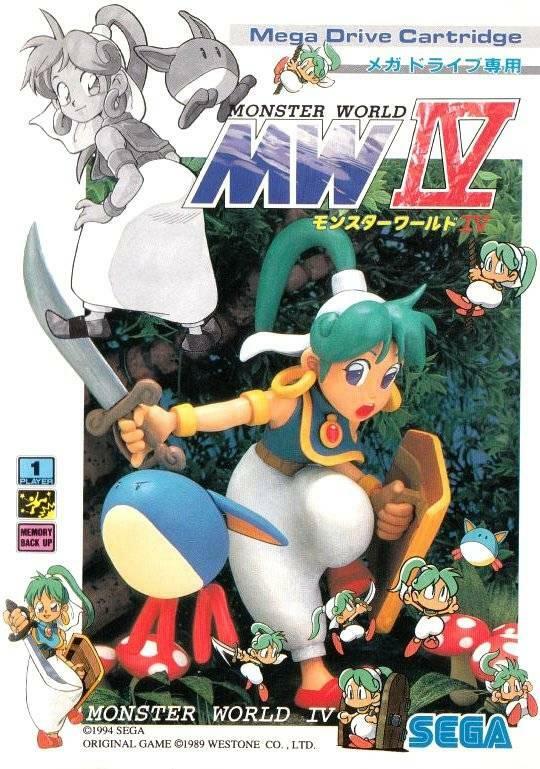 Developed and altered by M2, these HD ports feature a variety of new changes and enhancements both inside the games and out, including slick, interactive menus, the addition of save states and replays, online leaderboards, fully customizable controls, and online co-operative play for both the main game and duel modes. Several new features have also been added, such as unique trials and challenges for each game, as well as a jukebox mode where one can listen to every music track in the collection. The trials are separate and distinct from the main game in that they require the player to play through a specific section of the game under certain conditions in the fastest possible time, with the best overall times and percentages being added to the online leaderboards. These games can only be bought as part of their respective bundles and cannot be purchased individually. Each bundles sells for 800 Microsoft Points, or roughly $10 USD. 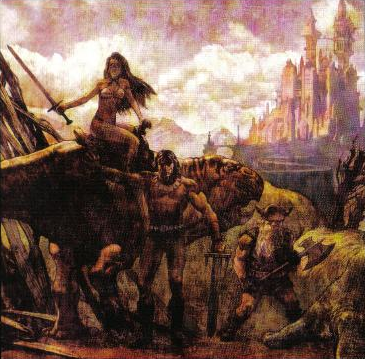 It’s also worth noting that the original releases of Golden Axe (arcade) and Streets of Rage 2 (Genesis/Mega Drive) have been delisted from Xbox Live Arcade service, as those versions — developed by Backbone Entertainment — were deemed inferior and poorly constructed, making these new releases the definitive versions of these two games. All games included also have each regional release selectable, a feature which allows players to access a variety of region-specific content that would otherwise not be available in all versions of these games.